Overtaken by feelings of anxiety and despair, and increasingly lonely after the last of her older sisters left for college, Sarai had been cutting her arms. She wore long sleeves, even on warm days, so her mother and friends wouldn’t see the marks. “I thought every time I did it, that it would let out some of the frustration and anger and sadness that I had,” said Sarai, a 15-year-old Latina in Southern California who requested that her full name not be used. But one day, she found herself sitting on the kitchen floor, looking at the bottles in the sink cabinet and contemplating suicide. Still, the experience scared Sarai enough that she told her family that she needed to talk to someone about her anxiety, and they sought professional counseling that continues to help her better trust and open up to her circle of friends and family. Sarai’s experience illustrates a “suicide paradox”: Even though Latinos face economic disadvantages and other stress in their lives, their suicide rate is less than one-third that of non-Hispanic whites. In California, the suicide rate for whites was 19 per 100,000 people in 2016, and the rate for Hispanics was 5.5 per 100,000, according to the state Department of Public Health. (Hispanics can be of any race.) The overall suicide rate in California in 2016 was 10.9 per 100,000. Across the country, suicides have increased nearly 30 percent since the turn of the century. Experts attribute the relatively low suicide rate among Latinos to the culture’s strong family and community support systems, which appear to bolster emotional resilience. Sarai’s counselor at Pacific Clinics, a network of mental health providers in the Los Angeles area, encouraged the teen to share more of her feelings with her family and friends. Over time, Sarai opened up to her older sister and eventually told her sister about her history of cutting. Sarai eventually told a few friends that she used to cut herself. “They became like my little second family,” she said. As a group, Latinos face obstacles that can affect their health and well-being: They earn less than non-Hispanic whites, and are more likely to lack health insurance coverage. In 2017, 16.1 percent of Hispanics were uninsured, compared with 6.3 percent of non-Hispanic whites, hampering access to mental health care and other treatment. In addition, Latino immigrants contend with the challenges of moving to a new country, sometimes after leaving violence and other traumatic conditions at home. But the practice of “colectivismo,” the building of a latticework of relationships through extended family, work colleagues and friends, is prevalent in the Latino community and can help provide an emotional safety net, said Luis Garcia, who has developed suicide prevention programs for Latino youth in California. Even activities such as regular church picnics or salsa dancing can be beneficial, said Garcia, vice president of cultural diversity at Arcadia, Calif.-based Pacific Clinics. 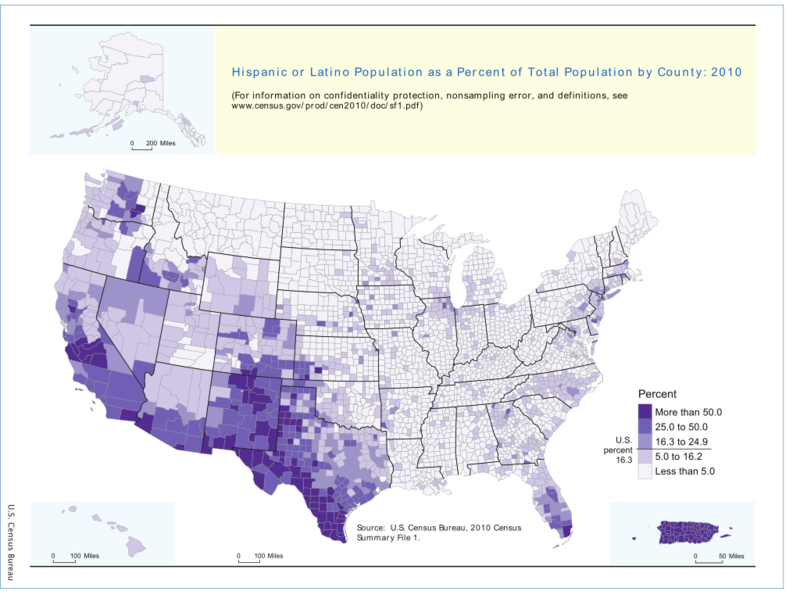 To be sure, Latinos are a multifaceted population from numerous countries who shouldn’t be viewed through a single lens or set of assumptions, Garcia and other researchers stressed. Still, when immigrant families assimilate and ties to Latino culture fray, so do the protective effects, according to a study published in 2014 in the Journal of Clinical Psychiatry. Researchers, who analyzed suicidal thoughts and attempts, found that those inclinations increased as Latinos spent more years in the U.S. and started losing their fluency in Spanish and connections to Latino social networks and identity. In addition, Latino youth also appear more vulnerable to suicide attempts than white teens. In 2017, 8.2 percent of Hispanic high school students attempted suicide compared with 6.1 percent of whites and 9.8 percent of blacks, according to federal data. And in California, psychiatric hospitalizations of Latino children and young adults have risen dramatically in recent years, according to state statistics. It’s not clear what’s driving that trend, but some policymakers and Latino community leaders say it reflects a lack of culturally appropriate mental health services for Latinos and a pervasive stigma that prevents many from seeking help before a crisis hits. One possibility, Pacific Clinics’ Garcia said, is that the attempt is a teen’s cry for help and attention, and there may be an extended cultural support system for Latino teens to fall back on. While family and community support might partially explain the suicide paradox, it’s likely not the only factor. It may be that some Latino suicides are misclassified, in part due to the stigma associated with it, said Ian Rockett, a professor emeritus of epidemiology at West Virginia University School of Public Health in Morgantown, and a longtime researcher on suicide. Federal suicide data is based on death records and relies on information compiled by local medical examiners or coroners, family and others, Rockett said. While some deaths, such as those caused by gunshot wounds, might be easier to classify as suicide, it can be more difficult to sort out what happened with an opioid overdose or when a car careens into a tree, he said. Harriet Blair Rowan of California Healthline contributed to this report. The National Suicide Prevention Lifeline (1-800-273-8255) is open 24 hours a day, with an option for Spanish speakers (1-888-628-9454). Prefer to chat online? Go to the Lifeline’s homepage — https://suicidepreventionlifeline.org/ — and click on the “chat” button in the top right corner. One Breast Implant, Two Prices. It Depends on Who’s Paying.